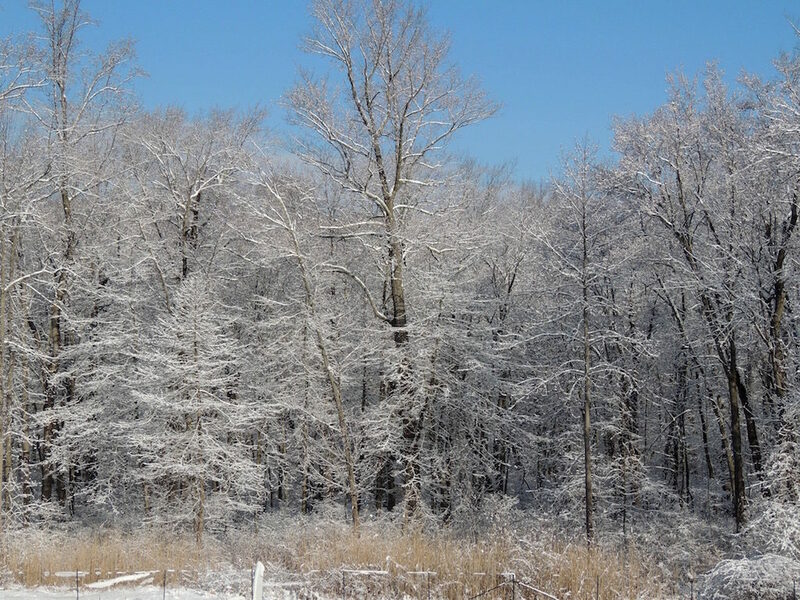 We started March with almost summer-like temperatures in the mid-70s and now the first day of spring, we’re expecting a snow storm! 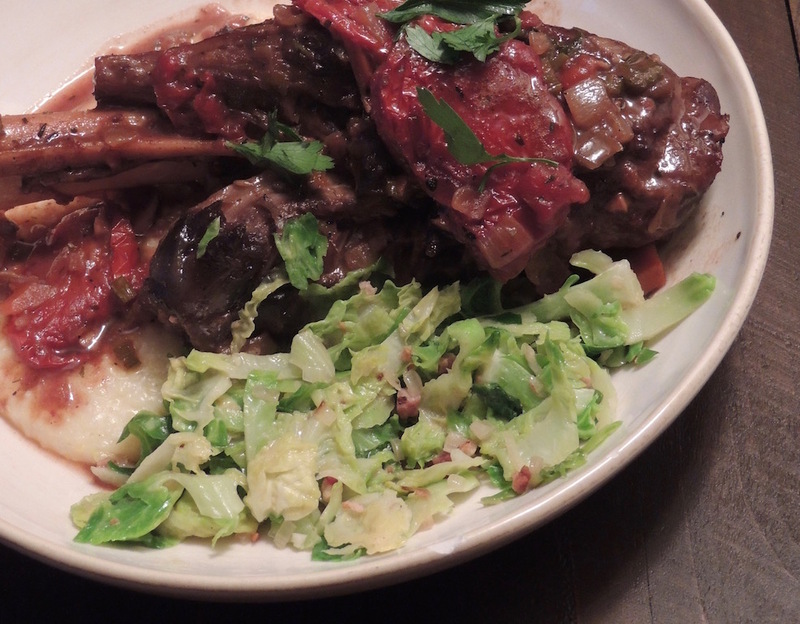 I decided to take advantage of the hopefully last cold days to make Mediterranean Braised Lamb Shanks in the slow cooker. Always make a braise the day before, the flavors are much better and it gives you an opportunity to easily remove the fat before reheating. Eric went to Stew Leonard’s and picked up some beautiful grass-grown lamb shanks from the Amish country. For the Mediterranean flavors, I’m using sundried tomatoes, Dijon mustard, herbes de Provence, saffron and a lovely Italian red wine. I had ¾ cup of cornmeal in the cupboard and decided to make a soft polenta with some sautéd shaved Brussels as my sides. 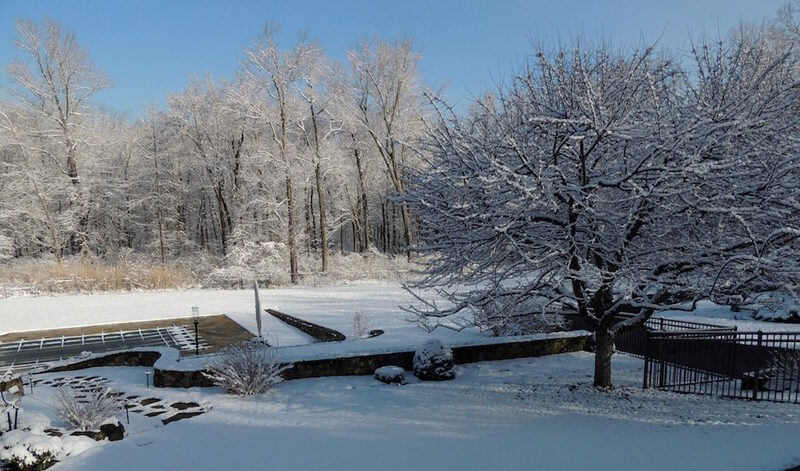 The snow came Sunday night and it was a beautiful sight to wake up to this morning! 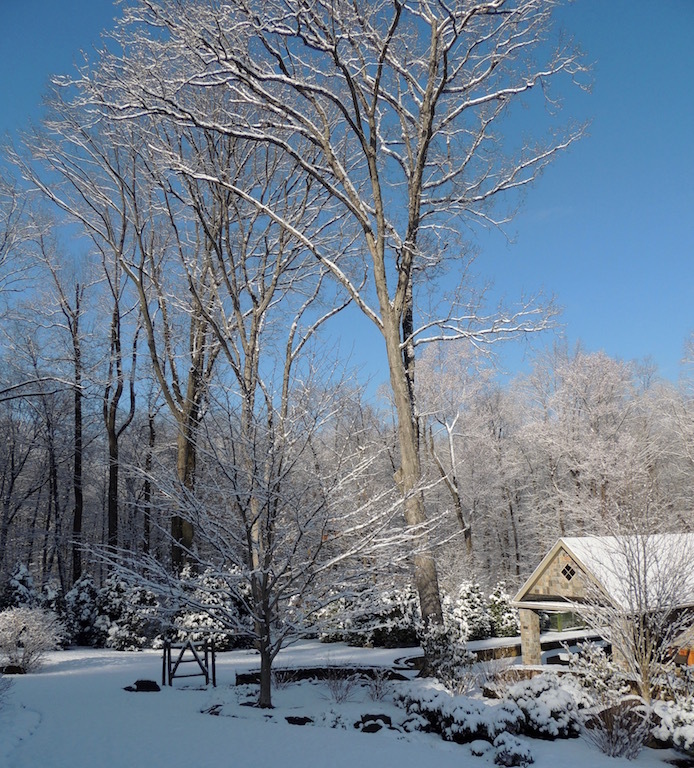 The sun glistening on the snow-covered limbs and a brilliant blue sky. The snow didn’t even stick to the paved surfaces and the barely three inches we got are melting away quickly! 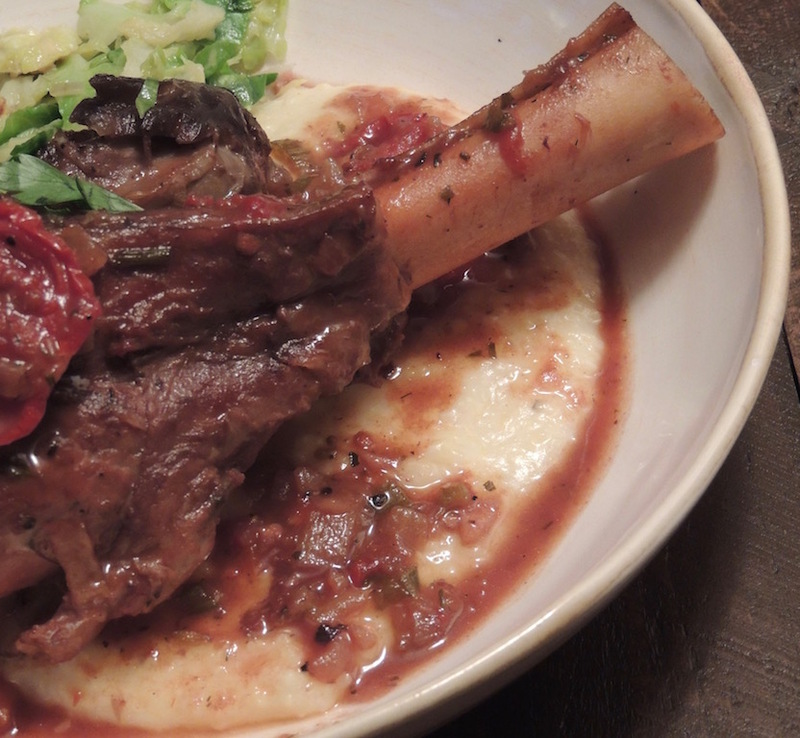 A flavorful Mediterranean Braised Lamb Shank recipe for the slow cooker. Cook the day before to allow the flavors to come together and to let the fat set for easy removal. Generously season both sides of the lamb shanks. Heat the oil in a large Dutch oven and brown the lamb shanks in batches. Add a little more oil if needed and stir in the onions, celery, carrots and garlic. Cover and sweat for 5 minutes, stirring once. Add the wine, sundried tomatoes, mustard, herbes de Provence and saffron, stir to combine, bring to a boil and reduce by three-quarters. Stir in the tomatoes and stock/water. Add the lamb shanks, cover and cook on low for 6-8 hours, until fork tender. Combine the olives, herbs and lemon peel. Plate the lamb and sprinkle the garnish over the top.